As with fine delicacies which improve with age, such as whisky, wine and cheese, DJ Vadim has been tenaciously and soulfully fermenting his global musical elixir for over 20 years and is now well and truly a unique vintage. Russian born and London residing, DJ Vadim has built a reputation as one of the world’s top independent producers; travelling the globe, performing and collaborating with established and developing talents that cross continents, languages and cultures. 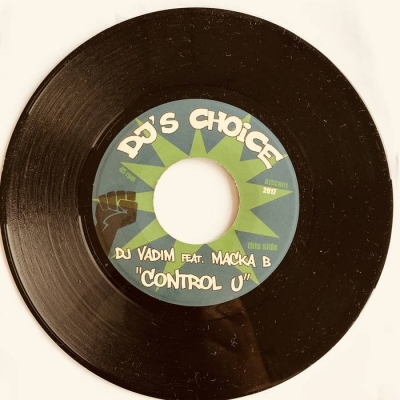 Dubbed as the "John Coltrane of hip hop", Vadim has become well respected as an innovator in a number of areas during his career, "a veteran presence in the DJ community as well as one of the foremost producers in too many communities to count, Vadim is never running out of ideas" (URB Magazine). He has been described as "one of the few artists creating genuinely new work in the hip hop field" and an artist "who cannot be ignored". In 1994, Vadim founded his own independent record label, Jazz Fudge. The following year he was signed to Ninja Tune and promptly introduced to the world by John Peel and Gilles Peterson. So begun Vadim’s adventure which has seen him tour across 77 countries, 6 continents and perform over 3000 times. Vadim doesn’t come alone. 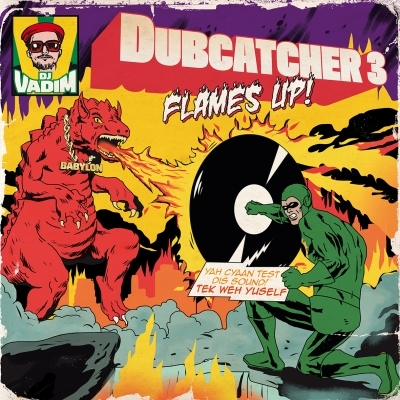 He has produced for Al Green, Stevie Wonder, Wretch 32, Foreign Beggars, Prince, Aaron Jerome (SBTRKT),The Cure, Corine Bailey Ray, Bassnector and of course the long standing relationship with Fat Freddy’s drop with whom Vadim has collaborated with extensively remixing their back catalogue and being tour DJ. With performances at some of the world’s most prestigious events from Sonar, Glastonbury, Big Chill, V fest, Fuji Rock, Roskilde, Exit, Vinarock, Notting Hill Carnival....to describe the man as an internationalist almost seems to sell him short. 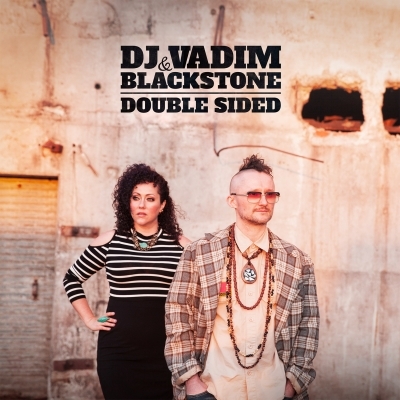 Awards speak loudly and Vadim is a Latin Grammy nominee (2002 7N7C), BBC Channel 4 new music winner (2005 ONESELF), alongside winning many other prizes for best album artwork (Sony Awards 1999, 2005), International DJ Of The Year (Australia 2003), Mixcloud Mix Of The Year and DJ of the year (2010 and 2011).... An underground artist who has caught the attention of the corporate world too, producing music for Adidas, Red Bull, Bacardi, Absolut Vodka, Nokia, Sin City, Grand Theft Auto and MTV. 15 solo albums, 5 mix CD's, 7 group albums, countless mix CD's and remixes to date... you can be sure of one thing, when Vadim first heard the phrase "Don’t sleep", he obviously took it literally!. It would be easy to sit back and rest on his laurels, but one look at Vadim's discography will show you that he is an innovator who revels in challenges, living on the frontline; creating beats of the future well before they have even been made into genres. So, what does the future hold? Not content with being uber busy, Vadim has taken it upon himself to film and direct music video’s as well as having a very keen eye as a budding photographer. Music aside, there is even word of a possible pop up restaurant and bar. If the music is anything to go by, it will be very fine tasting indeed.